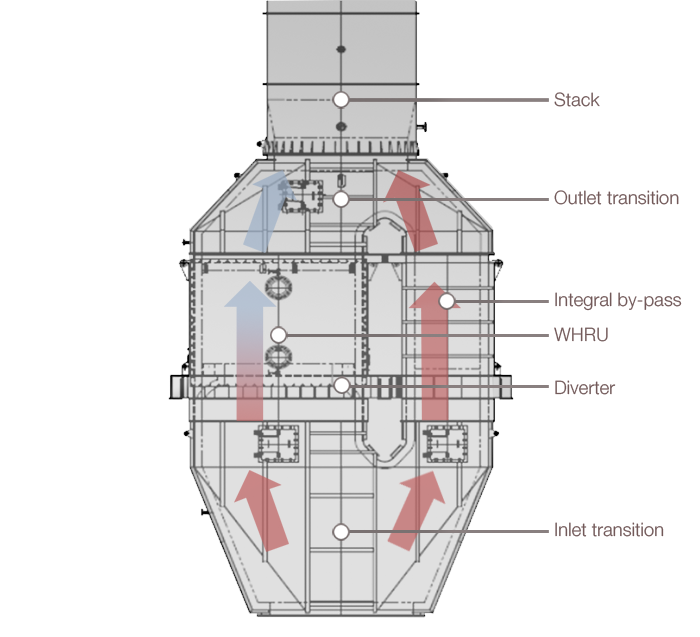 The Alfa Laval Aalborg WHR-GT (Waste Heat Recovery Unit after Gas Turbines) is designed to efficiently recover energy from the exhaust gases downstream from gas turbines. It can produce superheated steam, saturated steam, hot water and hot oil for power generation, heating and process duties. The Aalborg WHR-GT can be supplied as a unit with or without integrated bypass and as a complete system including silencer, ducting and stack. Its design offers the best solution with respect to efficiency, accessibility, weight and footprint. Other advantages of the Aalborg WHR-GT include its low maintenance costs and high reliability, as well as the simple control that allows easy integration into any existing control system. 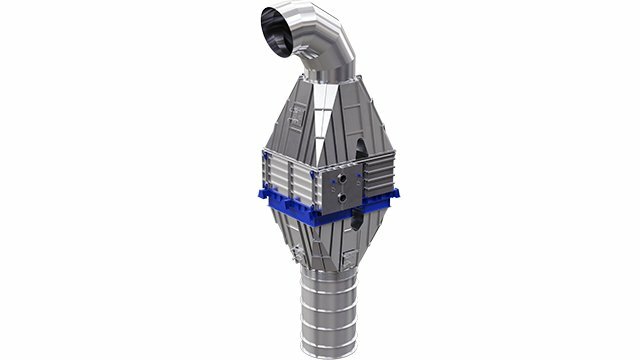 The Aalborg WHR-GT can be supplied as a unit with or without integrated bypass and as a complete system including silencer, ducting and stack. Its design offers the best solution with respect to efficiency, accessibility, weight and footprint. Other advantages of the Aalborg WHR-GT include its low maintenance costs and high reliability, as well as the simple control that allows easy integration into any existing control system.